Aromatic cedar hang-ups eliminates mildew by reducing the moisture in your closet. Cedar hang-ups repel all types of insects away from your closet; Protect fine fabrics from harmful moths. 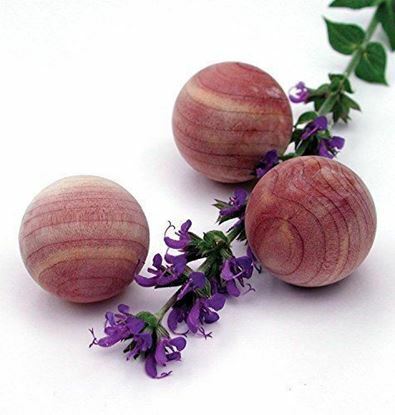 Cedar eliminates odors Cedar is an environmentally friendly and safe alternative to chemicals. Brand New - All Wood This listing is for a Set Of (2) for one price. Attractive expandable wooden wall racks which make great additions to any foyer, office, kitchen or bathroom. 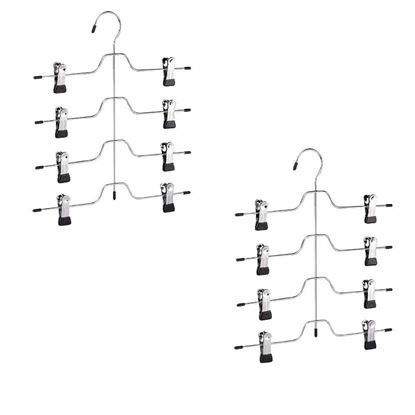 These very functional organizers can be used to hang caps, bathrobes, hats, umbrellas, scarves, necklaces, neckties and even small purses. Come with metal hooks on back, ready to hang on wall or door. 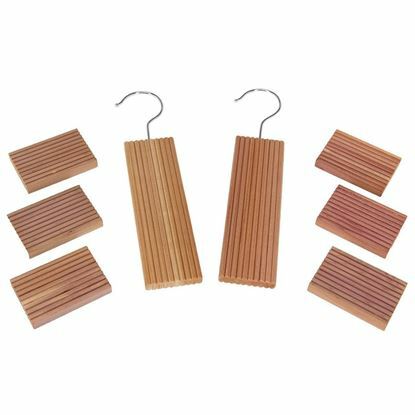 ...These come with a clear varnish finish preserving the natural wood look that will stay beautiful for years and blend perfectly with traditional or contemporary decor. Can be painted to suit your own taste but most people prefer the natural look. 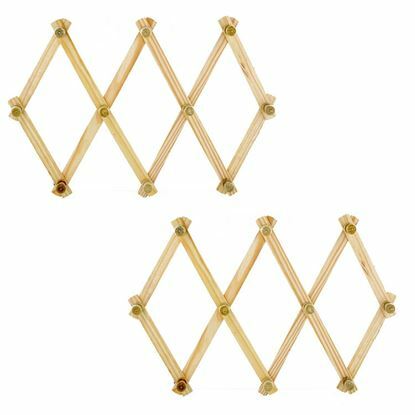 Each has 10 all wood 1 1/8" pegs. Each Is 30" Long & 5" High when fully expanded. 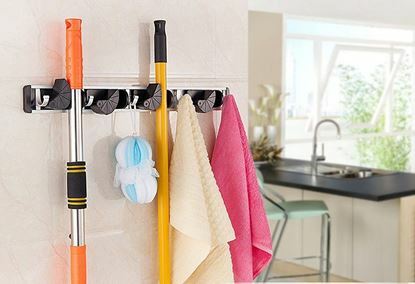 Tie and belt rack with rubber coated tips to protect delicate items. Sturdy Durable Steel construction for optimal support and long life 15''L x 4'' W x 3 1/2 "H . Mounts on door or wall. Easy to install, all installation hardware included.